The Australia Powerball is the biggest lottery in Australia, producing hundreds of thousands of winners every week. Its jackpot starts at AU $3 million (€1.9 million) and can quickly multiply to mind-boggling amounts, and its odds are decent for a lottery of this size. While it definitely shares some similarities with the US Powerball, the Oz Powerball has an identity all its own. If you’re curious to know the details, we get into all the juicy specifics below. 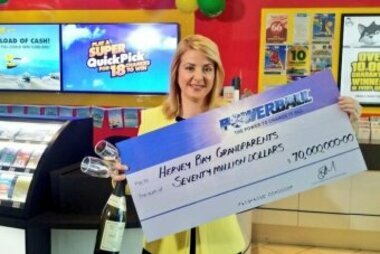 Australia’s Powerball was first introduced in May 1996 and quickly went on to become one of the nation’s most beloved and frequently played lotteries. In Western Australia, it is operated by Lotterywest, while Tatts Group operates it in the rest of the country. Over the years, its format has changed several times, with the odds sometimes getting tougher and the prizes always getting bigger. When it first appeared on the scene, the chances of winning the Oz Powerball jackpot were 1 in 54,979,155, but they later increased to 1 in 76,767,600 and finally to the 1 in 134,490,400 odds the game has today. In March 2013 a few exciting changes were made to the game. One of these was that any jackpot that had reached AU $10 million would be increased by AU $10 million every time it rolled over. 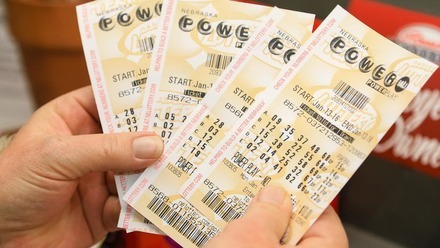 Another change was that six, rather than five, numbers were drawn in addition to the Powerball. In April 2018 this number was increased to seven, which greatly increased the chances of winning a secondary prize, and a ninth prize tier was also introduced. About a third of the proceeds that come in from ticket sales go to support hospitals and health services, sports organizations, art-related and cultural initiatives, and various non-profit institutions around the country. The Australian Powerball has a format very similar to its American counterpart, but it’s quite a bit easier to win because the range of numbers to choose from is smaller. Players choose seven main numbers from a range of 1 to 35 and one additional number—the Powerball—from a range of 1 to 20. If you’re lucky enough to match all eight numbers, you win the jackpot. One great thing about this game is that even though the minimum jackpot starts off at a small but respectable AU $3 million (€1.9 million), as soon as the jackpot pool reaches AU $10 million (€6.3 million) it increases by AU $10 million every single time it rolls over. Since there is no cap on the jackpot size, this means it grows by at least AU $40 million (€25.5 million) every month until someone finally wins it! If there is no winner after 25 rollovers, the jackpot rolls down to the secondary prize tier, which has much better odds. Your chances of winning the jackpot are 1 in 134,490,400, which are are more than twice as good as your chances of winning the US Powerball (1 in 292,201,338) and Mega Millions (1 in 302,575,350). But let’s be honest here, these odds are still very tough. While the odds of winning the transnational EuroMillions lottery are a bit tougher at 1 in 139,838,160, its jackpots can reach €190 million (AU $301 million), which is almost three times bigger than Oz Powerball’s all-time highest jackpot. EuroJackpot also has better odds (1 in 95,344,200), and its jackpots can surpass those of the Australian Powerball. The Australia Powerball draws only once per week at 8:30 pm AEDT. Winners have a full year to claim their prizes, unless they live in New South Wales, which has a pick-up deadline of 6 months. Unlike the US Powerball, which gives jackpot winners the option to receive their windfall in either a lump sum cash payment or via annuity payments spread out over three decades, the Oz Powerball only offers the lump sum option. Australia does not tax lottery winnings, so whatever prize you are fortunate enough to win through the Oz Powerball will not be taxed. However, this doesn’t mean you won’t be taxed by your country’s government, as every country has its own policy on how it handles lottery wins. Therefore, we always recommend people look up their local tax laws before claiming international lottery wins. Although flying to Australia is certainly an option if you want to partake in the next big Oz Powerball draw, there are luckily much easier ways to play. Online lottery sites, also known as online lottery agents, are completely legal and very convenient services that buy official lotto tickets on players’ behalf and scan them into their user accounts. Therefore, with just a few clicks you can get access to the world’s best lotteries, including those in Australia, the US, Canada, Europe, and South America. While there are also several great and legitimate lottery betting sites that allow people to place bets on the outcomes of major lotteries, it’s important to note that the Australian government banned these types of services in 2019. This is because they take revenues away from the official lotteries and therefore decrease the amount of money that would otherwise go to the charitable causes that lotteries normally support. Australia Powerball – Is It Worth Playing? While the Australia Powerball doesn’t even come close to the types of jackpots offered by its American cousin, it still has some of the biggest jackpots in the world, and its odds are better than several other similarly sized lotteries. In addition, the fact that its jackpots can roll over 25 times and increase by AU $10 million every time they do so makes this a fun and exciting lottery worth checking out. My husband is from Australia and he LOVES this game, so it's great that we can still play it online even though we live in Canada now.